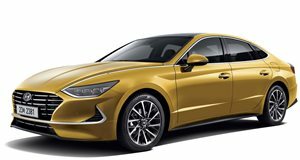 Hyundai officially revealed the eight-generation 2020 Sonata earlier this month and gave us a few images to admire before its proper debut at next month's 2019 New York Auto Show. Early signs are that the new car is a big step up from its predecessor, the sleek coupe-like profile and short overhangs stem from the Sensuous Sportiness Design Concept that we first saw on the Le Fil Rouge Concept at the 2018 Geneva Motor Show. While images are great, there is nothing like an in-depth video to get a better idea of the more subtle aspects of the car. Thanks to the guys at Asian Petrolhead we can now see that detail ahead of the official debut. One of the more interesting design aspects is the LED daytime running light that runs along the edge of the hood blending in with the chrome strip that frames the side windows. 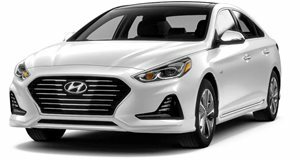 The Sonata is a larger car than before and has grown in every direction, the ride height is now 1.1-inches closer to the ground which adds to its sportier stance. The interior looks luxurious and has some interesting features like the push-button gear selector in the center console and two large displays that are supplemented by physical buttons for the more commonly used functions. The rear of the car has changed the most compared to previous models and features a full-length LED strip and air fins integrated into each taillight which apparently improves the aerodynamics. The powertrain options will include a 2.0-liter inline-four at launch (and an LPG variant which won’t be sold here), it will be joined by a 1.6-liter turbo as well as a hybrid model nearer the end of the year. We won’t have long to wait until the NY Auto Show to see the exact specs of the US models but aside from some minor specification changes, the car you see in this video should be largely similar to what we will be able to buy.